It's that time of year again so eloquently referred to as "March Madness": three weekends of alma mater disappointments, busted office pool brackets, and Cinderella stories. For 2017 we are going all out with 64 breweries from the city and surrounding suburbs. We've divided the city into four regions: North, South, West and Suburbs, and seeded them 1–16. Seeds are not-so-scientifically-based on size, reputation, years of operation, and current hype. With Round 1 already offering some intriguing matchups, will this year produce another underdog champion or will the 1 seeds steamroll the smaller guys all the way to the Final Four? The West Region has something to offer craft drinkers of all tastes and preferences. It is home to the city's oldest craft brewery, Goose Island, and one of the newest, On Tour. You can relax or get work done in some of the most beautiful tap rooms on the city's west side. And if you like to eat while you drink, and who doesn't, be sure to visit Piece, Cruz Blanca, and Forbidden Root for some of the best pizza, tacos, and pub fare the city has to offer. It is easy to argue that the West Side is the Best Side. So, there ya have it, vote for your favorite breweries across Chicago, below, and we will tally the votes in order to select 32 winners for the next round. Voting for Round 1 concludes, Monday, 3/13 at 9pm. There is not a more polarizing brewery in the city than Goose Island. And while 2016 saw an early first round exit, that didn't stop the veteran brewery from pushing innovation and expansion around the globe (South Korea, London...). Standing in the way of their first victory is their West Town neighbor, All Rise Brewing, a mere couple blocks away. Sharing a home with The Cobra Lounge, they'll be sure to bring the noise. With an army of 'Heroes,' Revolution is ready to avenge last year's upset in the championship round. 2016 saw a year of benchmarks for Chicago favorite's 'Rev,' and we're guessing '17 will be more of the same. The North Side juggernaut will be taking on Finch Beer Co., who's looking to hit the reset button again with their new home in West Town. Is the third time a charm? 2016 was more of the same for Pipeworks, as they continued to push out a solid lineup of core cans and rack up the hardware with their limited releases and barrel-aged offerings. Not to be overlooked is Chicago's newest brewery taproom, On Tour. With a great space in West Town and a strong brewing pedigree, 2017 will be a year to watch for On Tour. Off Color continues to crush it with unique style beers—Russian Serf Stout and Gotlandsdricka—not to mention some cool collaborations with The Field Museum and Miller High Life, plus a tasting room in Lincoln Park later this year. Great Central may be a lower seed, but they make up for it with their massive new contract brewery helping take some of the city's best breweries to the next level. That, and delicious lineup of their own brews in the works, for their soon-to-open taproom in West Town. Craft fans should not be sleeping on Forbidden Root. The botanical brewery may be using some of the stranger ingredients you've never heard of, but they all find their purpose in some damn tasty beer. Meanwhile, Illuminated keeps a low profile in their West Loop brewery. But their urban farmhouse brews speak volumes. Have you joined the cult? Piece and their always intriguing (and award winning) in-house only beers need no introduction, especially to a city they've called home before most breweries in this bracket even existed. The new(-ish) kid on the block is Alarmist, who's hit the local marketplace with a slew of releases this year and are on the verge of opening their own North Side (Sauganash) taproom. The state's first brewery and distillery combo, Maplewood, has really hit their stride in the last year with a few noteworthy packaged releases, and finally packaging THR go-to brew The Charlatan in cans. They matchup with Old Irving Park's Lake Effect and their recently opened bottle shop—the best place to get your hands on their diverse lineup of six-packs and large format limited release bottles. Best of luck to all 64 breweries. 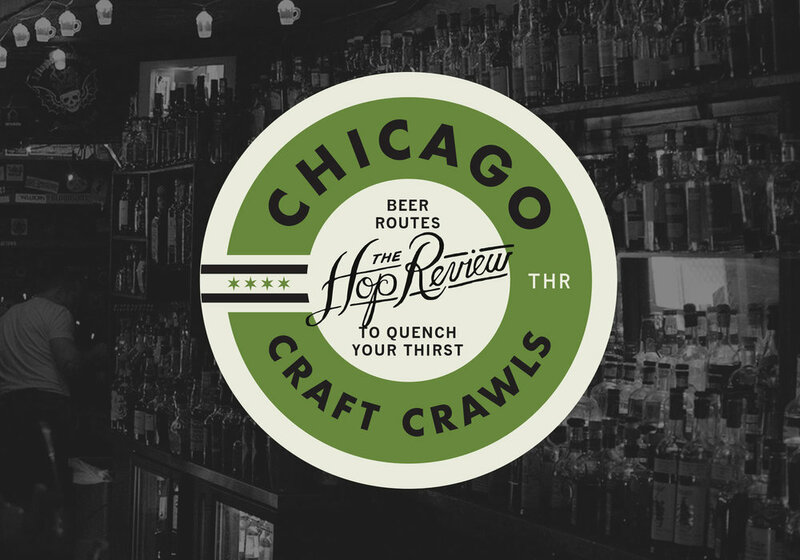 It's hard to pick a favorite Chicago beer maker as we all know, but hey, here's your chance. Stay tuned as we tally the votes in order to select a "Round of 32." VOTING FOR ROUND 1 CONCLUDES, MONDAY, 3/13 AT 9PM.